The DM-1T is a small pencil condenser designed specifically for use miking toms. 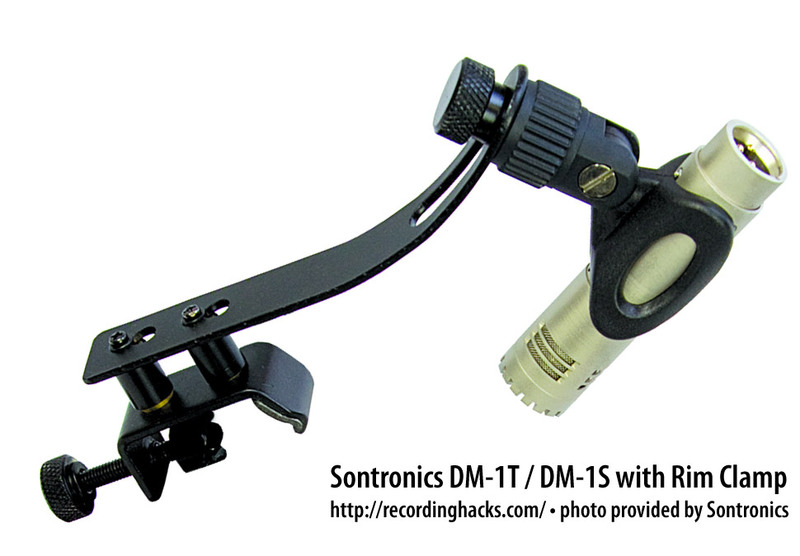 It is a part of Sontronics application-specific microphone series, which also includes the DM-1S snare mic and the DM-1B kick-drum mic. The DM-1S and DM-1T are both end-address, with a 24mm true condenser capsule. Both produce a Cardioid pickup pattern. 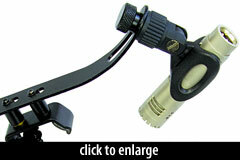 These mics include a rim clamp for drum mounting, and an aluminum flight case for storage and transport. The DM1T I used for my rack tom, with the supplied clip and screw-on clamp to attach it to the drum itself. This clamping system seems fairly well designed and allows the mic to be angled in a broad but fairly sensible range of close-miking positions. For live work, I could see it being particularly useful for quick setups. One minor niggle was that the clip supplied with this model felt a little loose, and the mic actually slipped out once during the session. Once the tom was nicely tuned, the BD1T sounded as impressive as its partners, with a nice, clear, full tone and a characteristic that felt right for the drum in question.